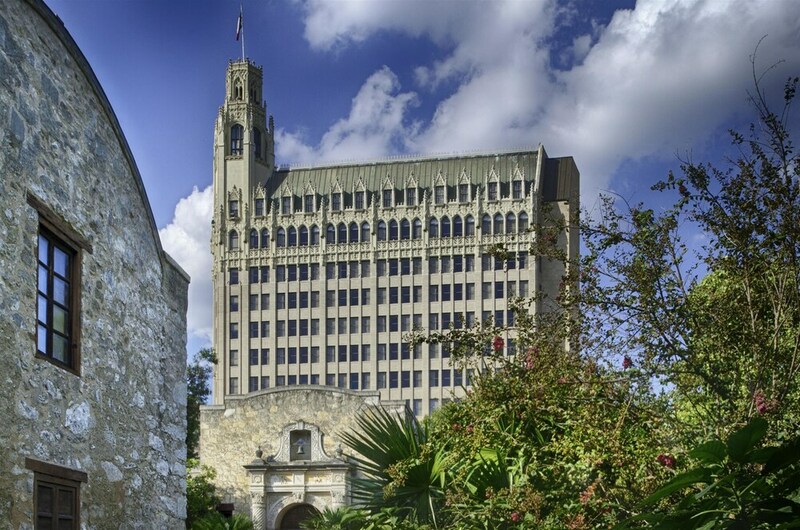 Get an overview of this hotelLocated across from the Alamo and walking distance to the Riverwalk. With a stay at The Emily Morgan - a DoubleTree by Hilton, you'll be centrally located in San Antonio, steps from San Antonio Cavalry Museum and Alamo Mission in San Antonio. This romantic hotel is 0.4 mi (0.6 km) from Ripley's Haunted Adventure and 0.4 mi (0.6 km) from Guinness World Records Museum. Make yourself at home in one of the 177 air-conditioned rooms featuring refrigerators and LCD televisions. Wired and wireless Internet access is complimentary, while iPod docking stations and cable programming provide entertainment. Private bathrooms have complimentary toiletries and hair dryers. Conveniences include phones, as well as laptop-compatible safes and desks. Enjoy American cuisine at ORO Restaurant and Bar, a restaurant which features a bar, or stay in and take advantage of the 24-hour room service. Full breakfasts are served on weekdays from 6:30 AM to 11 AM and on weekends from 7 AM to 11 AM for a fee. In addition to an outdoor heated pool, The Emily Morgan - a DoubleTree by Hilton provides a fitness center. The hotel offers a restaurant, ORO Restaurant and Bar. A bar/lounge is on site where guests can unwind with a drink. High-speed wireless Internet access is complimentary. A business center is on site at this 3.5-star property. This business-friendly hotel also offers concierge services, tour/ticket assistance, a multilingual staff, and complimentary newspapers in the lobby. Parking is available onsite for a surcharge. The Emily Morgan - a DoubleTree by Hilton is a smoke-free property. ORO Restaurant and Bar - Open daily for breakfast, lunch, and dinner. ORO Restaurant and Bar rotates seasonal menus built around regional flavors and fresh ingredients from local Texas farmers. With large windows that provide excellent views of The Alamo, a sleek and sophisticated interior decor, and a Texas-inspired hand-crafted menu, ORO produces a fine dining experience in downtown San Antonio. An outdoor heated pool is available on site. Other recreational amenities include a fitness center.